Like everyone, I can get deeply curious about something, and dive in. Starting five years ago, I got deeply curious about the differences between countries and cultures, fascinated with understanding the different perspectives. I talked about a few fun ones in this 2-minute TED talk. So two years ago, I moved to Singapore, and started visiting all the countries in Asia, asking dumb questions, making good friends. Getting to know these countries is endlessly interesting. I want to understand them as well as I understand the 50 U.S. states. But my learning felt too unstructured. So while walking around Yogyakarta, Indonesia, remembering “the best way to learn something is to teach it”, I came up with an ambitious plan. I decided to produce and publish 16 books per year on 16 countries in Asia: Cambodia, China, Hong Kong, India, Indonesia, Japan, Korea, Malaysia, Mongolia, Myanmar, Philippines, Singapore, Sri Lanka, Taiwan, Thailand, and Vietnam. Sure, they wouldn’t be great at first, but I committed to improving them every year for many years. After a few years of doing this, they should be pretty awesome. Instead of being all-encompassing, I decided to focus just on entrepreneurship: a network I was already tapped into, a good filter for understanding a country’s culture, and a subject that may be useful to others. What to name it? That only took a minute. I like Seth Godin’s advice about naming. The Entrepreneur’s Guide? E… G… Egg! Golden Egg? Too cliché. 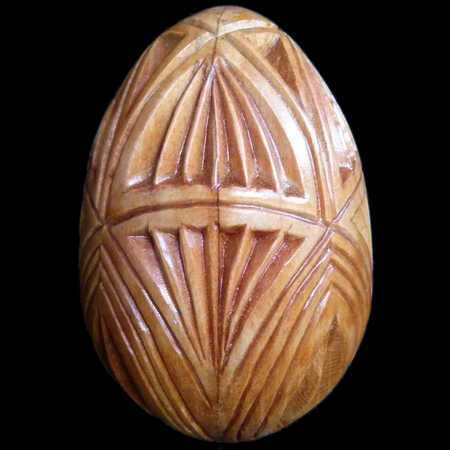 Wood Egg? Yep! Sounds like an exotic carved Thai or Indonesian treasure. Good enough. I set up a Singapore corporation for it from my Yogyakarta hotel room that night in August 2011, and began the next day.